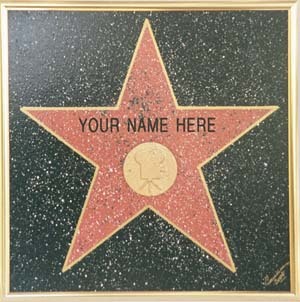 In the western world many of us are obsessed with attaining either fame or fortune, or both. We strive to accumulate laurels and status. We carefully track our balance sheets and 401k’s. We follow the lives of people such as the Kardashians or Paris Hilton, famous only for being famous. Whether in reality or vicariously, we seek to emulate their lives. We envy the wealth of Donald Trump. Young girls strive to achieve the image of a Hannah Montana, often encouraged by adoring, indulgent parents. Boys ape the behavior and swagger of their favorite rapper or sports hero. Adults purchase the magazines reporting the lives of the rich and famous or the products that will impress others. Yes, we are consumed with fame and fortune. Yet, these things in and of themselves seldom lead to true joy in life. Often the impact is just the opposite of what we seek because we fall short of the “image.” They do not equal worth. The first is in the eyes of God. We are His most cherished creation. Each of us is worth more to Him than all of the treasures of earth. Our earthly status and fame mean nothing to Him. We, each of us, is so important to Him, worth so much to Him, that He sacrificed His son for us. Second, our worth is not what we achieve for ourselves but in what we do for others. Our worth is found in how we fulfill the Greatest Commandment, to love one another. There is nothing inherently wrong with achievement, be it fame or fortune. In fact it is God’s will that we be productive. But our true worth is found in what we do with these things. 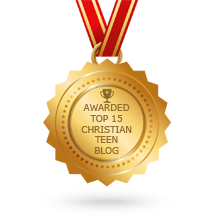 This entry was posted in CHRISTIAN LIFE AND THE WORD and tagged Fame, Furtune, Worth. Bookmark the permalink. If the Lord has allowed us to have fame and fortune, let us remain humble before Him for it is He who has made us not we ourselves. He can take it in a second from us and we have to ensure that we have heaven’s perspective always in mind. . If we have not fame or fortune, know that life is in His hands and whatever is ours and to be, He has control of . We do our best and He gives the rest. No worry except to know that we live lives pleasing to Him and walk worthy of His Name. As I approach 31 years old and look at my life the enemy and my flesh try to plant evil thoughts in my mind. I having been fighting off thoughs that I have not accomplish what I should have to be in my 30s. Your blog has confirmed what I believe God has been teaching my in regards to what I have been feeling and thinking. I may not have what most 31 years have but what I have I can take beyond that grave and I am thankful for that. Art my dear Brother…here’s a Biblical perspective (with no ill will intended) on the subject of fortune and fame…that may be considered for closer examination. Lowliness, humbleness, meekness, humility, and subjection to Christ are just a few things that come to mind. Before Christ I was a seeker of fortune and fame. Jesus reduced me from that when He took over my life. …But godliness with contentment is great gain. For we brought nothing into [this] world, [and it is] certain we can carry nothing out. And having food and raiment let us be therewith content. But they that will be rich fall into temptation and a snare, and [into] many foolish and hurtful lusts, which drown men in destruction and perdition. For the love of money is the root of all evil: which while some coveted after, they have erred from the faith, and pierced themselves through with many sorrows.